Rung with best wishes to Alan Morgan. First submitted Sunday, 24 March 2019 at 20:40:04 by Neil Jones. 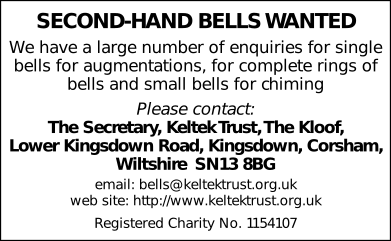 Sent for publication in The Ringing World on Sunday, 24 March 2019 at 20:40:21.